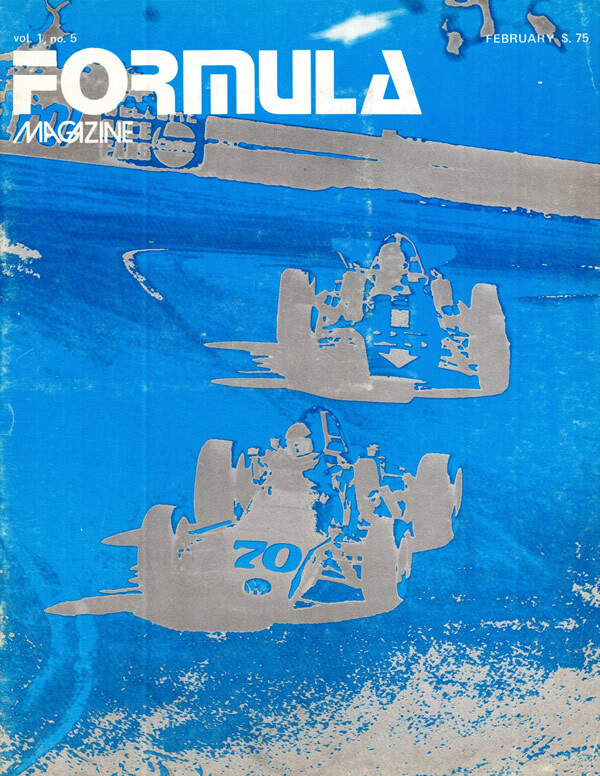 Home > Sources > Periodicals > "Formula" and "Racecar"
"Formula" started in October 1973 but early copies are very rare. 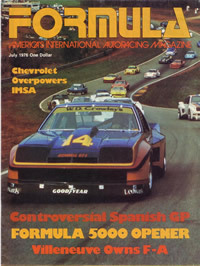 Having focused on Californian SCCA racing at first, it widened its scope to national racing during 1974 but then hit financial troubles in the latter part of that year and had to suspend publication. 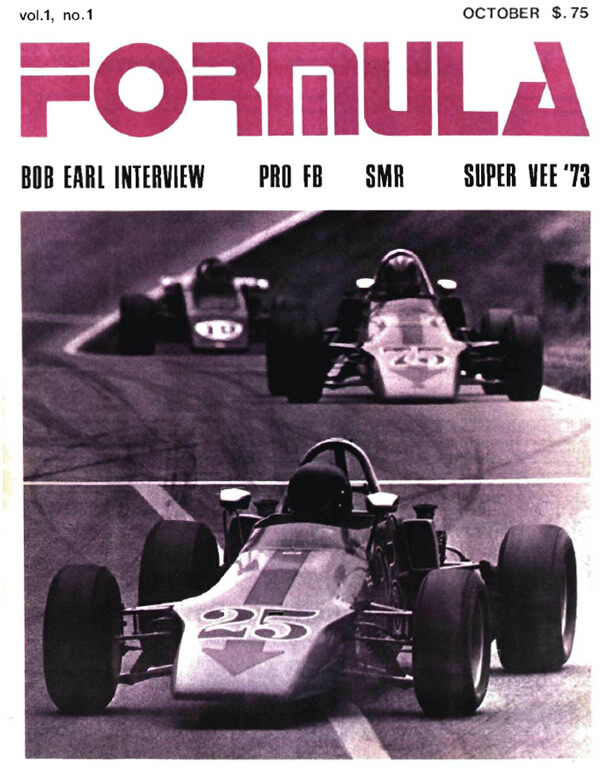 Managing Editor Paul Pfanner managed to secure finance from F5000 driver and Encyclopedia Britanica heir John Benton and the magazine restarted in 1975. Thanks to a wonderful donation of 65 copies by Jeff Brueckheimer, another 40 in immaculate condition from Kenneth Lawrence, a generous loan from David McKinney, a set of scans of 1974 issues generously provided by Craig Wheeldon and kind donations of spare copies by John Ryan and Lloyd Burkett, OldRacingCars.com now has a complete bound collection. 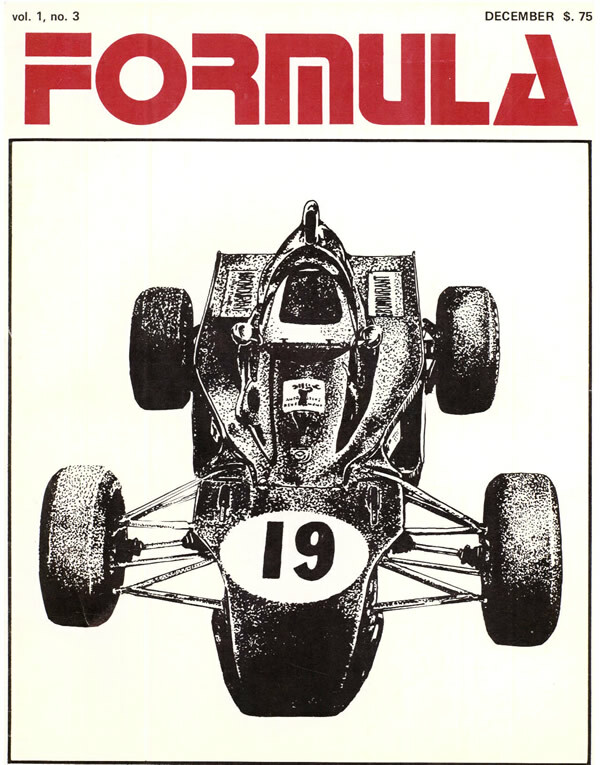 We did have spare copies of all editions from 1976 onwards and were delighted when we were able to make a largely complete colection available to former editor Paul Pfanner in 2014. 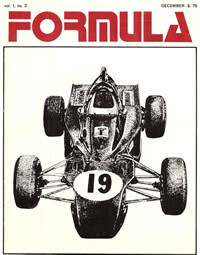 All our other spares have now been sold. 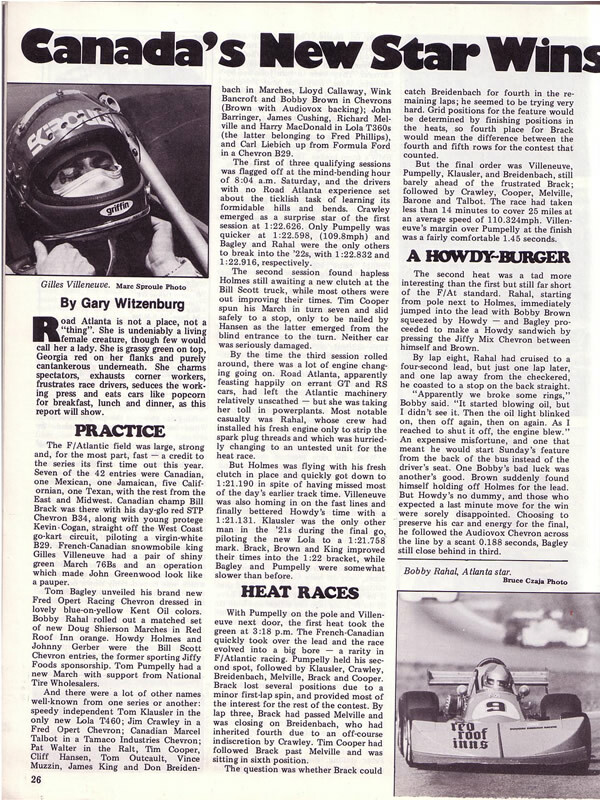 This list was last updated on 27 March, 2015 .